It is undoubtedly a good year of the Pig in the Chinese Horoscope 2019 for Snake. Your great communicative skills will allow you to be commercially successful in any product you trie to sell. You will find it very easy to expose your ideas to others. The planetary aspects will offer you a much greater vitality, compared to the one you had the previous year. By paying attention to intuition, the results obtained by following it will be very positive for the Snake. Despite acting by intuition, these actions will always be preceded by a thoroughly studied plan. The frenetic rhythm of your life will also have to adapt to the diverse situations that presents in front of you. This accelerated rhythm should be reduced by the middle of the year in order to avoid affecting both the physical health and the economic health of your home. Those who have been born in the years 1905, 1917, 1929, 1941, 1953, 1965, 1977, 1989, 2001, 2013 are part of this Horoscope. The Snake will seek relationships that are capable of satisfying their romantic impulses immediately. They will try it with constancy and putting all their heart into it. They will not mind taking risks or expressing your own feelings openly. If you have a partner, the desire to get married will be very strong in 2019. However, this is not a good time to do so because the planetary aspects of this year will not be the most suitable for permanent relationships. It will be an economically complicated year. The Chinese Horoscope 2019 for Snake indicates that the natives will have numerous worries throughout the period that will affect them both physically and emotionally. However, despite the drawbacks, there will be professional and social advances. It is possible that expenses will be difficult to cover with existing profits, so superfluous expenses will have to be eradicated. It is not advisable to leave money to others because it will affect your finances in the long run. At the family level, between May and October it will be difficult to have freedom of movement, both to practice their hobbies and to carry out their personal work. The good thing will be that during that period the relationship with children will improve by having more time for them, thus strengthening bonds and confidences. 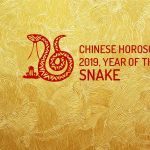 Therefore, the Chinese Horoscope 2019 for Snake predicts that it will be a time when the natives will be able to take part in matters of importance with hardly any impediment. They will only have a certain limitation when it comes to having more time for them because of their commitment to the family.